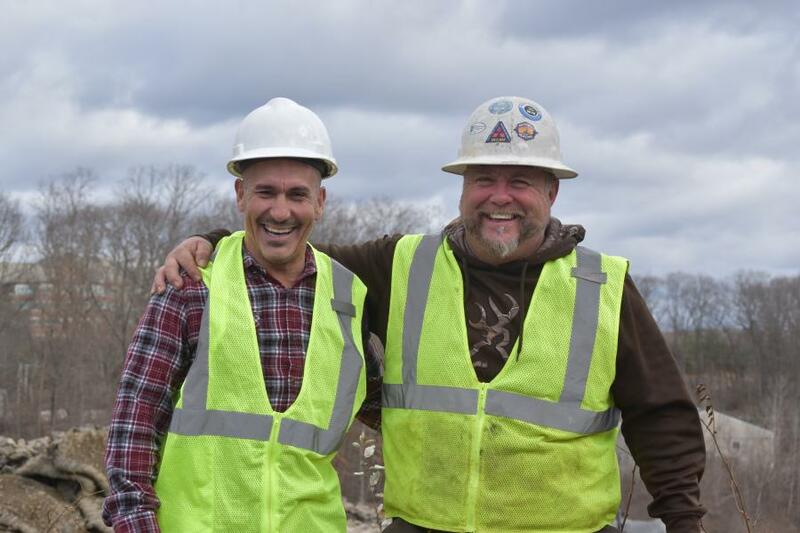 New England is known for many things… the colorful autumn leaves, snowy winters, a powerful football team … and rocky ground conditions that challenge contractors on most projects. 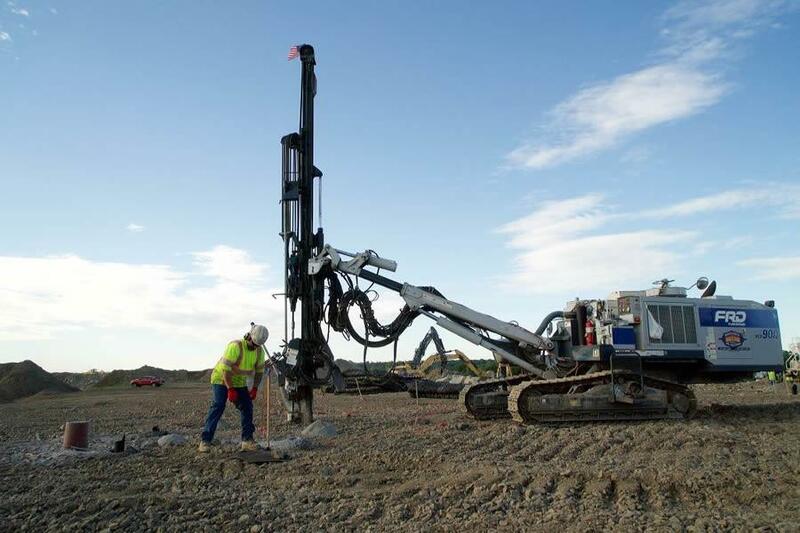 At a minimum, nearly every site involves hammers and excavators, and unfortunately way too often the site calls for drilling and blasting. Most contractors are not equipped to handle their own blasting; they have found that it is not cost effective for them to make the investment in the crushing and screening processing plants necessary to produce aggregate on site. 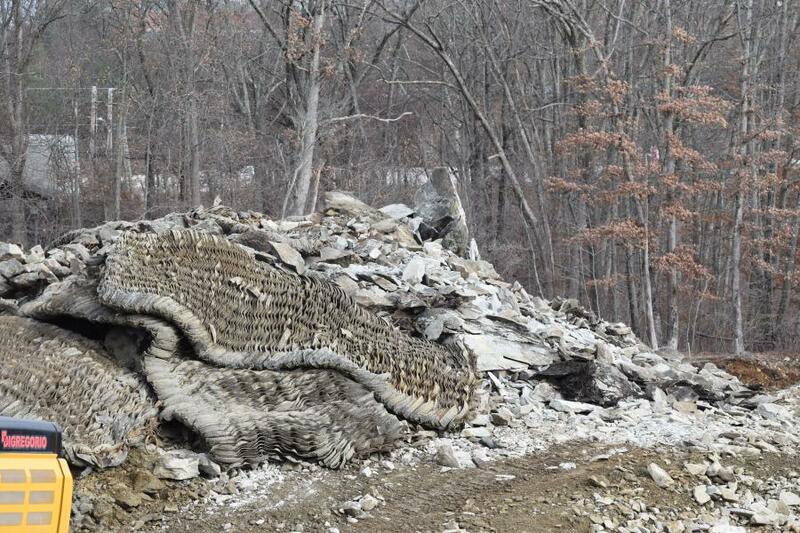 Some, however, are set up to handle their own aggregate processing once the blast has occurred and it has been a common practice on New England building sites for decades to process the rock that is blasted or excavated into aggregate materials that are either re-used on site or are sold to area contractors and municipalities. Enter Baystate Blasting, a family-owned drilling, blasting, crushing and processing service that is headquartered in Ludlow, Mass. Founded in 2003, Baystate prides itself on being flexible and mobile enough to offer turn-key solutions for projects large and small throughout the New England and New York region. 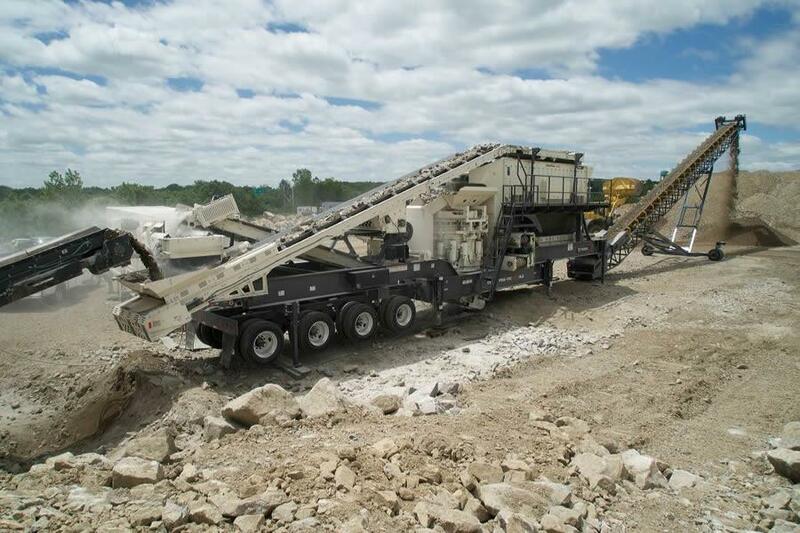 "We have identified a market and put together the right fleet of equipment to handle all aspects of rock breaking and aggregate production," said Tony Vital, general manager of Baystate Blasting. Baystate Blasting employees are experts in their field of blasting rock, but unlike most blasting services, they provide a full range of rock and recycled aggregate crushing services. 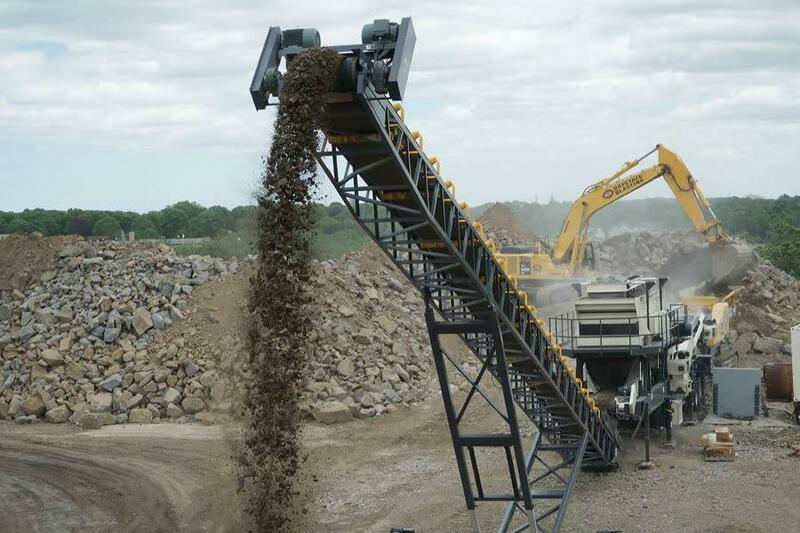 The company has a full range of portable and stationary crushing equipment that includes jaws, cones, closed circuit crushers, stacking conveyors, screening plants, excavators, loaders and road service trucks to keep the fleet running smoothly. 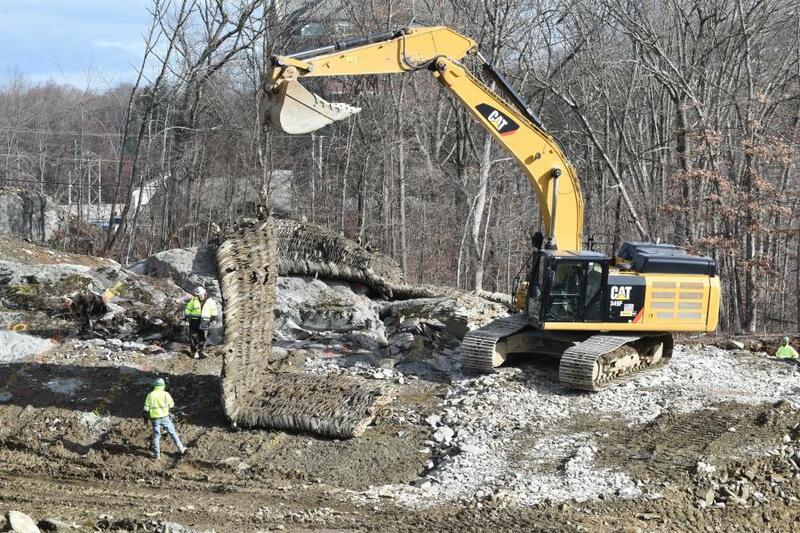 The products Baystate can produce on the job site include a wide variety of stone and sand products with applications including subbase, foundations, roads, sidewalks, driveways, trench beds, structural fill, stone, riprap and landscape products. 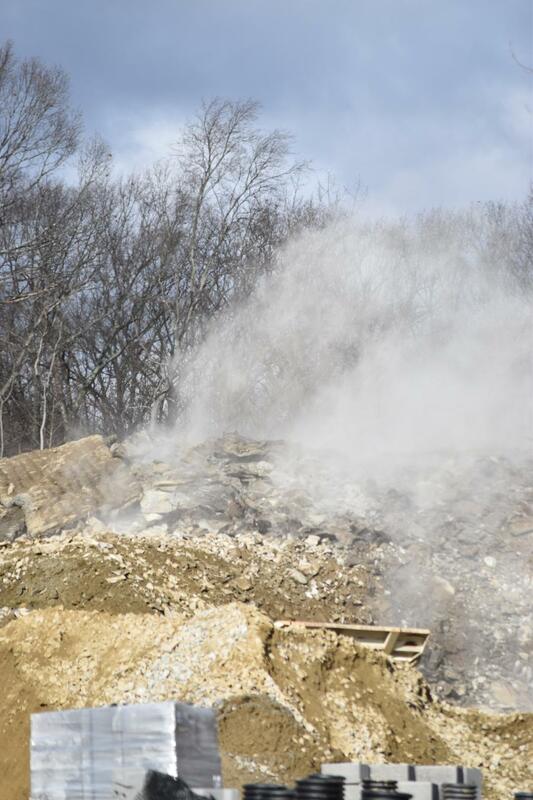 On the blasting side, Baystate Blasting is federally licensed with the ATF as a dealer and user of explosive materials. Its highly skilled and experienced team is licensed to work in Massachusetts, Connecticut, New Hampshire, Vermont, Rhode Island and New York State. Baystate has four blasting crews made up of 22 people, 10 drill rigs, and nine crushing spreads. 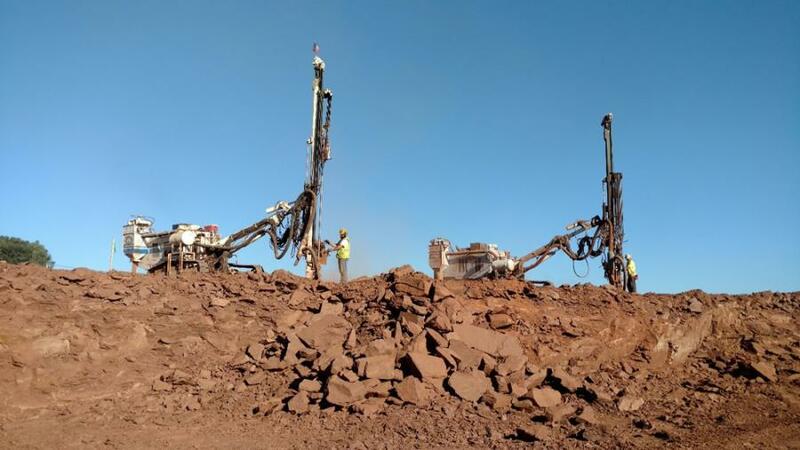 Their experiences include working with mass rock, trench rock, presplit, line drilling, cushion blasting, hydraulic rock splitting, seismic monitoring, as well as hoe ramming. "Our customers are varied, including general contractors, construction managers, design builders, quarries, state and local agencies, private developers and even the occasional homeowner," Vital said. 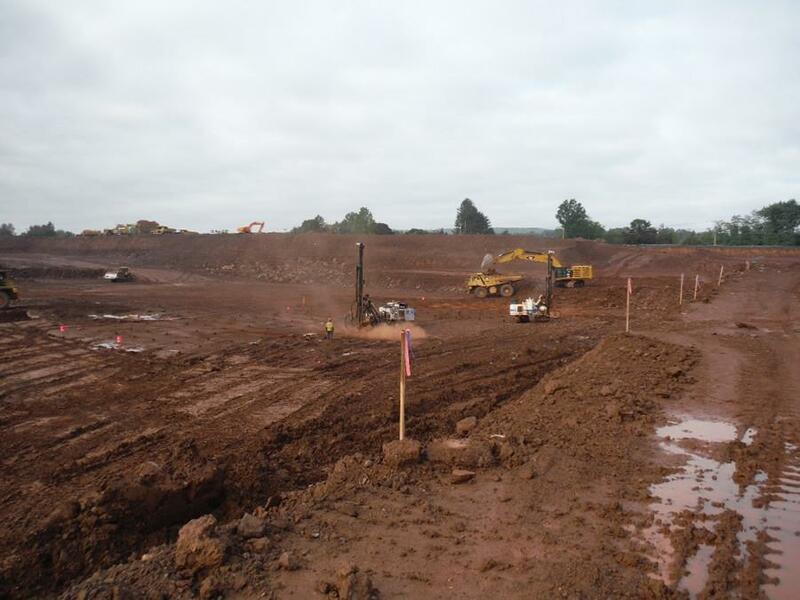 Baystate also is equipped with advanced estimating software, which allows its estimating department to provide customers with accurate cut/fill volumes allowing them to clearly assist in determining subgrade quantities. Baystate will work closely with its customers throughout the entire bidding process to verify information that is contained in the bid documents and to design blast plans which meet all federal, state and local regulations. 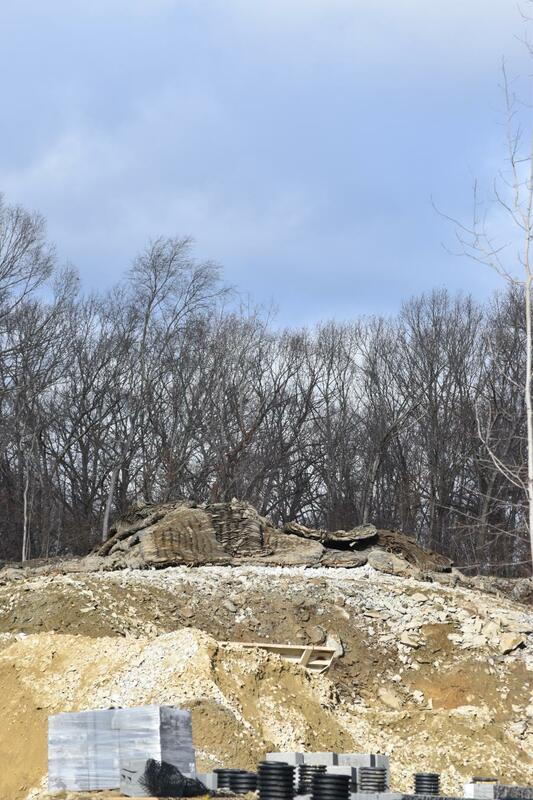 On Nov. 1, Baystate Blasting began work at the site of a future hotel on U.S. Route 116 in Lincoln, R.I. As is typical for that region, the area was solid rock. At this job site, approximately 60,000 yds. of solid rock will be blasted, and when possible processed into ¾-in. stone. Prior to starting on this job site, Baystate executed a pre-blast survey, which established the conditions of all residential and commercial properties bordering the site to be prepared in the event of property damage claims. Prior to each blast alerts are sounded, and residents are notified. Despite the number of charges being released into solid rock, the noise level was barely noticeable, and a minimal amount of seismic disturbance was felt. The excavation was scheduled to be completed by Dec. 18, 2018.